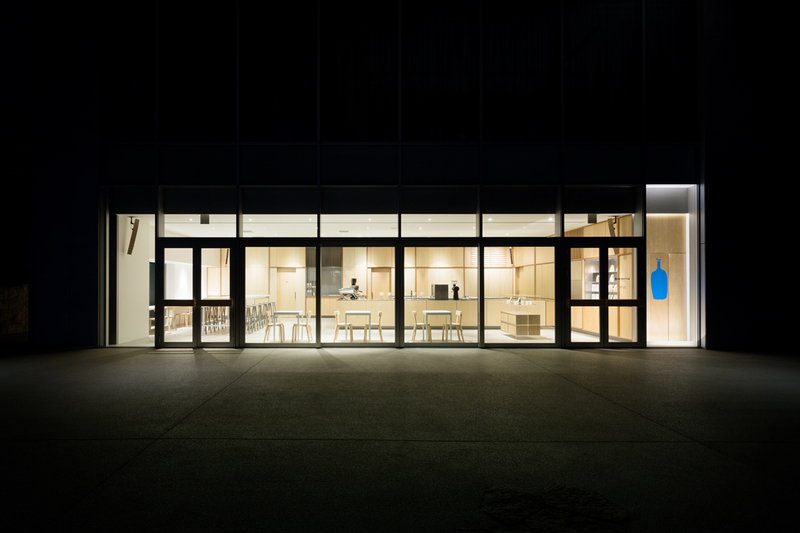 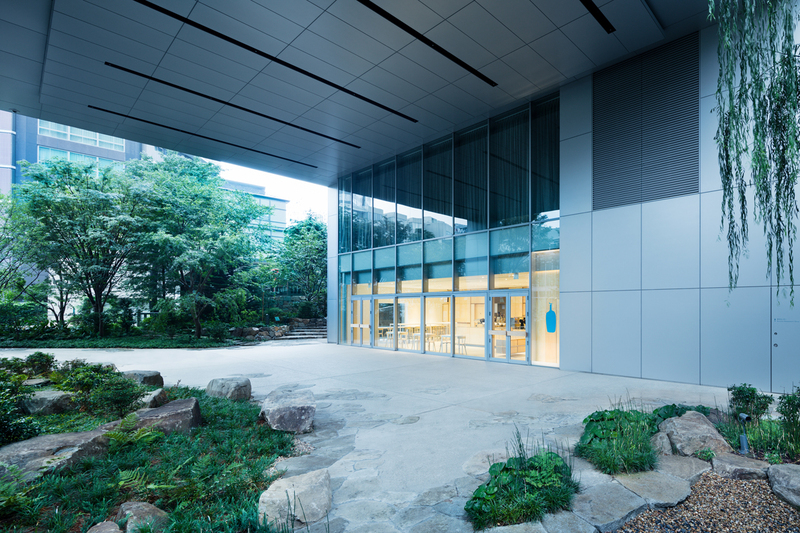 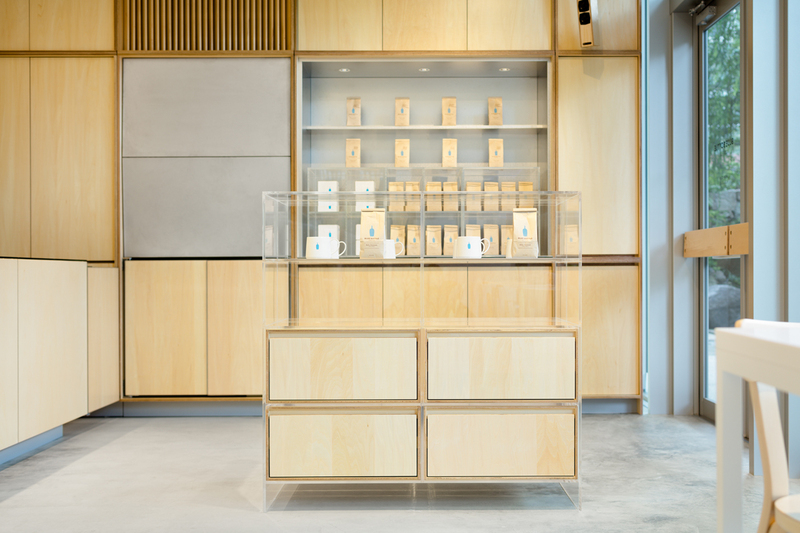 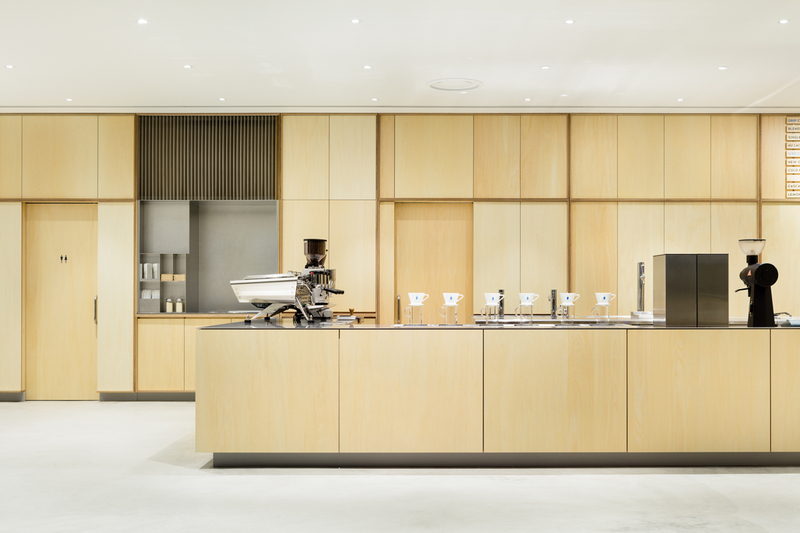 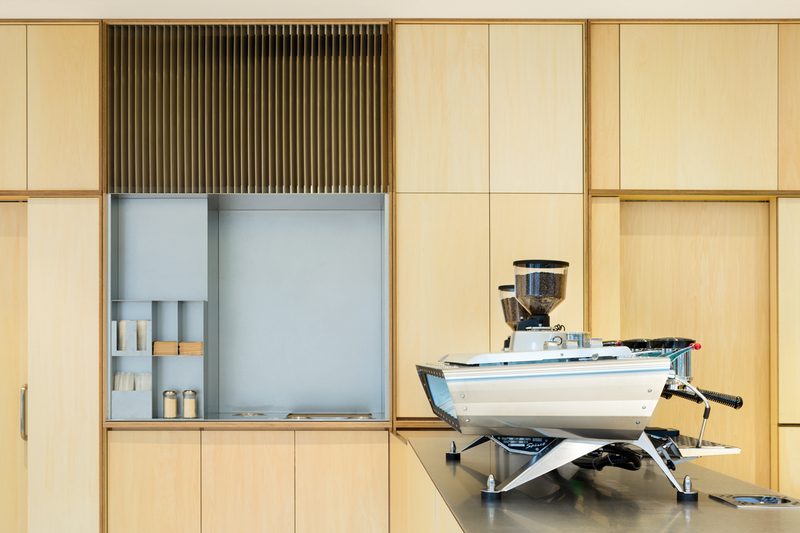 Blue Bottle Coffee opened the fourth shop in Japan in Roppoingi, Tokyo. 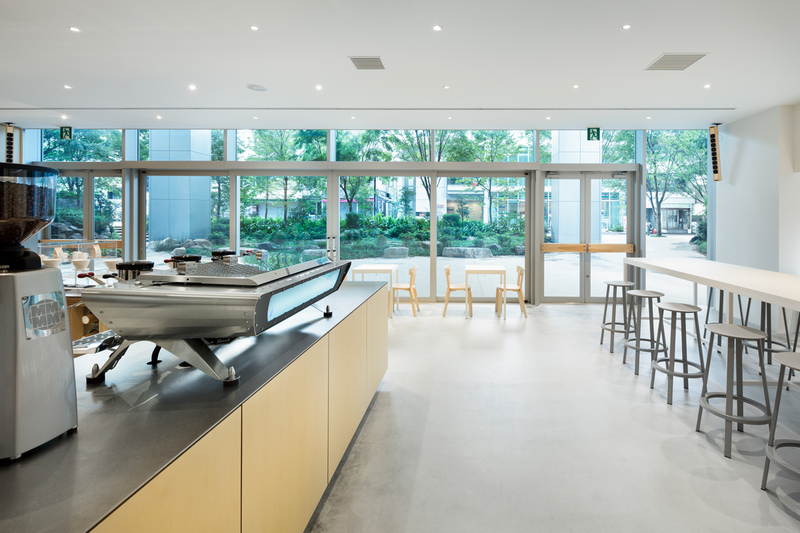 The shop is located on a back street at a distance from the busy avenue, facing a small sunken public plaza like a park where people can freely enter. 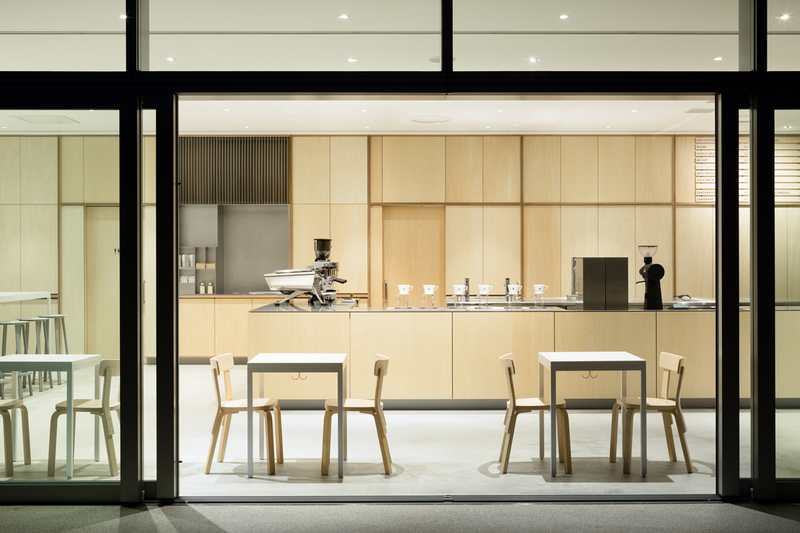 Our design is based on our vision of a cafe staying beside the plaza and quietly embracing the environment. 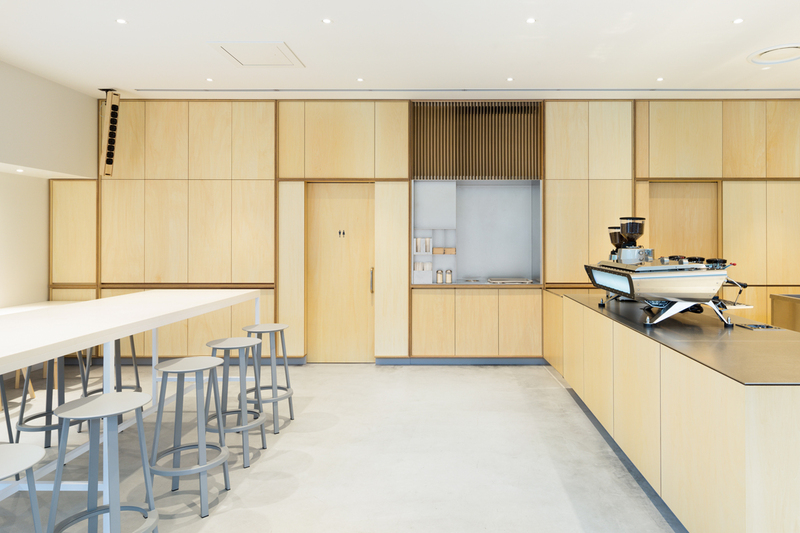 Main interior finish material is basswood plywood, and the entire walls are composed of regular repetition of wall cabinets with doors, while the strict regularity is moderated by inserting irregular grids of frames encasing several doors.